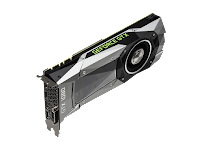 GeForce GTX 10-series graphics cards are powered by Pascal to deliver up to 3x the performance of previous-generation graphics cards, plus innovative new gaming technologies and breakthrough VR experiences. 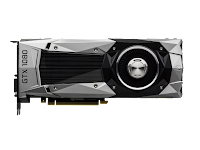 The GTX 1080 is huge news – 2x the performance of the Titan X for half the price is no small boast always according to Nvidia and the specs. 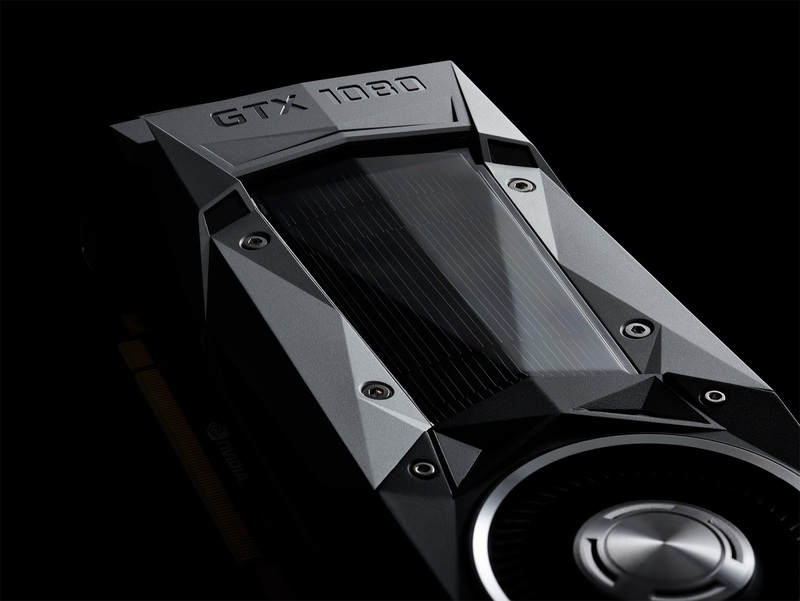 Nvidia’s 2016 cards are all powered by its new Pascal technology. Pascal replaces Maxwell, which was behind the GTX 9xx series and the Titan X. Nvidia’s headline claim about Pascal as a whole is that it’s three times more efficient than the previous generation, which is done both with computing improvements and a new design and manufacturing process. Pascal uses a 16nm (nanometer) process, where Maxwell used a 28nm process. This means Nvidia can fit more transistors (the bits that do the computing work) into a smaller space while consuming less power, meaning the whole GPU is a lot more efficient and runs cooler. In terms of clock speed, the Nvidia GeForce GTX 1080 will sit at 1607MHz but is capable of boosting to 1733MHz, which is a huge figure when you consider the maximum boost speed of the GTX 980 was 1216MHz. Also nvidia at its event, reportedly showed off the GTX 1080 overclocked to 2.1GHz. Asynchronous compute is a rewrite of the way GPUs process graphics rendering and computing tasks, such as where objects are, and what effect on lighting it might have. In non-asynchronous GPUs, graphics tasks and computing tasks are handled separately, meaning one has to wait for the other to finish. This is inefficient, and fails to take full advantage of a GPU’s power at any given moment, with many of the GPU's cores sitting idle. Async Compute enables both tasks to run simultaneously (although not starting or finishing at exactly the same time), dramatically increasing efficiency. There’s still plenty of work to be done in this area, so it will be interesting to see how far Nvidia has come. In standard, non-VR benchmarks, a stock Founders Edition card appears to be between 10% and 30% faster than a Titan X. It absolutely blitzes the GTX 980, looking between 70% and 100% quicker in the same benchmarks. The GTX 980Ti, which is actually priced closer to the GTX 1080, looks to have been beaten by around a third. What's most interesting is that the GTX 1080 appears to be a genuine contender as a standalone card for playing Ultra HD games at high settings, something only the likes of the Titan X and AMD R9 Fury X could manage in the previous generation. Previously known as the reference cards, the Nvidia-manufactured versions of these new cards will be known as Founders Edition. They’re really rather pretty, with aggressive, angled designs and the now-iconic backlit green GeForce GTX logo. The GTX 1080 will cost $699 (around £580 including VAT) in Founders specification, while third-party manufacturers will vary, although it’s expected the cheapest will cost $599 (around £500 including VAT). Founders Edition cards will start shipping on May 27th. The GTX 1070, meanwhile, will be priced at $449 (around £391 inc VAT) in Founders spec, while third parties are expected to start from $379 (around £314 inc VAT). Founder Edition cards will start shipping on June 10th. Born in 1990 and raised up in video games his first video game console was ColecoVision followed by PS1 and moving up to PS4 while also he was using his first computer running MS-DOS. He like technology and gadgets so he decided to create a small blog "ProjecTech" and start writing about tech news as a hobby. His passion about technology and computers does not end here, he studied Computer and Information Security (CIS) in Sheffield Hallam University where he graduated. Watch Samsung's UNPACKED 5 Live Here! !